A stomachache is one of the illnesses that can cause severe pain and misery to an individual. The pain varies depending on the type of stomach infection you develop. Different factors upset the stomach. One of the common causes is food and water contamination. 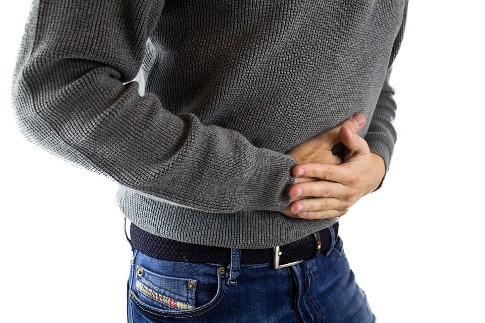 When you drink contaminated water or food, you risk contracting a stomach infection. Stomach upsets come about in different forms. The illness can manifest as bloating of the stomach that arises due to the trapped wind. The other common form is gastroenteritis which comes with diarrhea. Typically, a stomach infection begins with fever and chills. Slowly by slowly, you will start having nausea feeling that consequently ushers in vomiting. When you start vomiting, it's important to seek medical attention. Failure to do so leads to episodes of diarrhea. Diarrhea will require you to visit the washrooms from time to time. The condition can render you nonfunctional and miserable due to the discomfort. You can get yourself lying on the floor in the bathroom the entire time. There are some measures you take to protect yourself against the pain and discomfort. Most people do not know that eating too fast can cause stomach upset. Bad eating habits can contribute to a long time of agony and pain. It is good that when eating, you take the time to chew your food well. Eating big chunks of food can cause you to swallow a lot of gas. When the acid accumulates in the stomach, it could lead to bloating which is uncomfortable. Good eating habits that you can try entail eating your food slowly. Make sure you set aside time for eating so that you do not eat in a rush. Also, chew your food well before swallowing it. The types of foods we eat have a significant impact on our health. Eating unhealthy foods cause severe stomach aches. Foods that are processed, spicy, fried, or contain a lot of fats significantly affect the digestive system. The meals may strain the digestive system leading to slow digestion. The slow digestion consequently leads to constipation. Adapting to a healthy diet is critical in allowing your digestive system to digest food properly. Healthy foods such as those containing fibers and vegetables help in boosting digestion. Make sure you also remember to chew the food well and eat slow. Some parasites that inhabit the water are dangerous to your health. Your drinking water should never stay uncovered neither should the water stay for long. Poor practices can lead to parasite infestations on the water. Try as much as possible to purify your water. There are various techniques that you can adapt depending on which one you prefer best. Boiling water and adding a chemical disinfectant are some of the methods. You can also make use of a filter to purify the water before drinking or using it. You can visit water fillters fill2pure online to look for filters for your water. Water is instrumental in the prevention of stomachache as it helps in the digestion process. Water keeps food substances moving along the gut all the way to the stomach. Most people do wait until they are incredibly thirsty to drink water. However, it is important to take water from time to time without waiting for the body to become dehydrated. Avoid carbonated drinks such as soda as it causes bloating due to the excessive gas. Other beverages that you can avoid include alcohol and caffeinated beverages such as coffee. Coffee does not do well with everybody, some may react negatively to it. Too much stress has a significant impact on the stomach. When you get stressed, you trigger the stress hormones which then activate stomach contractions. The stomach contractions also extend up to the colon and thus causing spasms. Stress can also lead to the overproduction of the acids found in the stomach. Since most stressed people do not eat most of the time, the acid then acts on an empty stomach. The effect is chronic stomachaches that are painful and disturbing. Stress management can help to reduce the overproduction of stress hormones. Managing stress can also take care of the poor eating habits brought about by stress. Most stressed people eat a lot of fast foods and processed foods that strain the digestive system. There are various ways of managing stress, and one of them is seeing a professional counselor. The counselor can help one deal with whatever issue they have instead of practicing poor eating habits and stomachaches. Personal hygiene is one of the best ways to keep off issues to do with stomach illnesses. Most of the stomach illnesses especially diarrhea arise due to bacteria and virus infections. Bacteria and viruses are found on contaminated surfaces almost everywhere. It is advisable that once you visit any public place, you wash your hands after. Also, wash your hands after visiting the washroom with quality soap. Before eating, ensure that you use warm water and quality soap to clean your hands. Handling foods with dirty hands can cause infections leading to a stomachache. Failure to practice good hygiene can lead to gastroenteritis. Gastroenteritis is an infection caused by a virus. Some of the symptoms include nausea, fever, and persistent headaches. Knowing what triggers stomach upsets is critical in the prevention of the illnesses. Make sure you find out the foods that make your stomach bloat, or that cause diarrhea. Foods such as raw shellfish and pasteurized milk can bring stomach upsets for most people. Try to avoid such allergic foods as much as possible. Make sure your kitchen is clean at all times. Exercise caution when dealing with foods in the kitchen. Do not mix cooked foods and uncooked foods and the utensils you use. Washing vegetables in running water will equally reduce food contaminations.